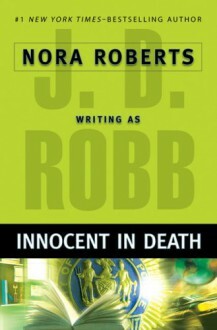 Innocent in Death is number 24 of J.D. 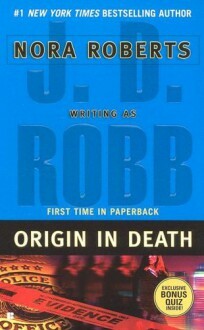 Robb’s “In Death” series and my introduction to the books. It’s the year 2060 and lieutenant Eve Dallas has taken a case involving a young teacher’s murder. The case seems like a standard poisoning, but Eve is having trouble building a good list of possible suspects. The young teacher seemed honestly well liked in the community with no real enemies. On the home front, Eve is battling her own insecurities as an old flame from her husband’s, path has suddenly returned. I devoured this book in less than 24 hours, it was pretty spectacular. I loved the futuristic and gritty world. It gave everything a great almost film noir tone to the story. The hard edge really complimented the eclectic cast of characters. Eve was the highlight of this for me. She’s a spectacular heroine who has a slightly skewed perspective of the world compared to everyone around her. I liked that in this installment we saw a vulnerability in Eve that offered a balance to the tough and highly competent homicide detective. While I loved this as an introduction to Eve Dallas and her world, I’m not sure if I would’ve enjoyed this story as much if I had already been familiar with everything. I really enjoyed how all the drama between Eve and Roarke played out. However, the main mystery lost my interest toward the end. Call me cynical, but when the villain was unveiled I couldn’t drum-up the expected horror over it. So, the drawn out ending centered around the murderer bored me. Like everyone else who reads this series, I was really anticipating this one. Hawke and Sienna's relationship has been brewing in the background of the Psy/Changling series since the very first novel. Sienna is an X-cardnial Psy. X Psy aren't known for having long life spans, their powers typically cause them to die a fiery death long before they reach their mid-twenties. So, when Sienna feels her powers slowly slipping out of her control, she knows she'll eventually have to leave the SnowDancer pack or risk taking everyone down with her. In the meantime, she's determined to try controlling it, but the angst filled relationship she has with Hawke is not helping matters. Hawke, the SnowDancer Alpha, has always caused Sienna's emotions to erupt into chaos and the confusing signals he's been sending have only added fuel to the fire. Hawke has been a favorite side character of mine ever since he showed up in Slave to Sensation. I really loved seeing the playfulness of his character expanded on, in this story. However, in the beginning of Kiss of Snow Hawke's stubbornness concerning Sienna was annoying. He had a "kid in the playground" mentality about her. He didn't want to play with her, but no one else was allowed to play with her either. This, combined with their relationship throughout the other books, made me really wish that Singh hadn't gone the virgin route with Sienna. Going into this book, I had hoped that she would've slept with someone before this story. It was such a damper to see Sienna able to match Hawke in everything and then suddenly play the shy and naive virgin in the bedroom. She eventually gets out of that, but it still broke the tone of the story to have to sit through the "first-time" scene. (I HATE first time scenes). Aside from that aspect, my only other complaint is that Singh decided to cram a secondary romance plot in. This really did not work here, as it felt like Lara and Walker got short changed. Similar to Sienna and Hawke, Lara and Walker's story had been quietly building over the course of the series, but they got slotted as a secondary romance. While their relationship was nicely done, it faded into the background because of the other major plot threads that were going on. ( Such as: Hawke and Sienna's relationship, the Psy attacks, and even Lucas and Sasha's baby.) Because of this, I really wish that Singh had put off Lara and Walker getting together until another book or at least given them a novella where their story wouldn't get overshadowed. Kiss of Snow really needs to be worked up to in order to appreciate the relationship developments and the events that are at the center of this story. So I would recommend you only read this if you have already read a few of the previous books.